The film will premiere in theaters across the United States, Argentina, Bolivia, Colombia, Chile, Peru, and Mexico on April 4 and 6. The film’s release comes at an important time as Palau continues to battle stage 4 lung cancer, with which he was diagnosed in 2018, just days before production began on the film. Palau the Movie tells the true story of a man who was born in a small town in Argentina, committed his life to the work of the Lord, and embarked on an inspiring journey to become one of the greatest evangelists in history. . For more than six decades, Palau and his ministry have shared the Good News of Jesus Christ with hundreds of millions of people through evangelistic events and media. Palau has spoken in person to more than 30 million people in 75 countries with more than 1 million registered decisions for Jesus Christ. Furthermore, Palau’s radio broadcasts in English and Spanish are heard by millions on 5,000 radio outlets in 48 countries. Last year, Palau was named a recipient of NRB’s Hall of Fame Award – an honor that goes to an NRB member who has made an invaluable contribution to the field of Christian communications, has demonstrated the highest standards, and has exhibited faithfulness in Jesus. “Luis Palau is a model Christian evangelist and Gospel broadcaster who has had a monumental impact on the world for Christ,” NRB’s president & CEO, Dr. Jerry A. Johnson, said in announcing Palau's Hall of Fame Award. 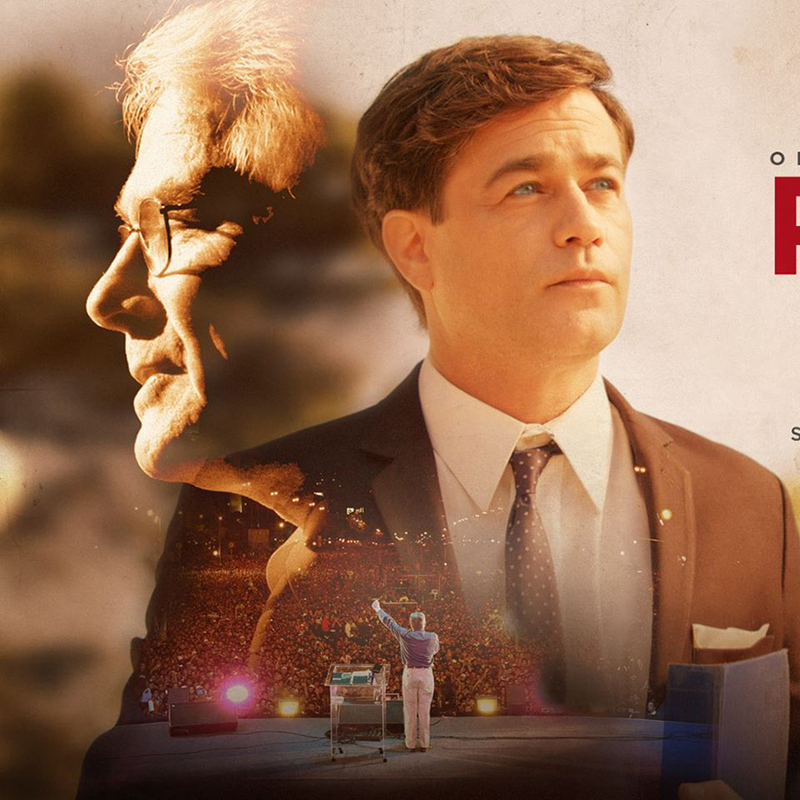 In Palau the Movie, renowned Argentine actor Gastón Pauls plays the role of Palau, alongside acclaimed actors Scott Reeves (Nashville), who plays Palau’s mentor, Ray Stedman; and Daniel Roebuck (Lost, The Fugitive), who plays Fred Renich, a deeply influential figure in Palau’s life. According to the film’s producers, Palau’s story demonstrates what God can do with a willing heart amid both seemingly insurmountable struggles and remarkable miracles. The cinema events on April 4 and 6 include a special message from Luis Palau.